The Real Algarve is an independent family business with over twenty years’ experience creating the perfect luxury villa and apartment holidays throughout the Algarve. We have a loyal base of customers that return to us year on year and we strongly believe that it’s our team that makes people book with us. The Real Algarve was established back in 1995 by experienced travel specialists Lynne and Simon Bunting. They holidayed on The Algarve for many years with their family and realised the potential for renting property out there when friends of theirs asked Lynne to do this on their behalf, following her continued love for the region and her desire to spend as much time there as she could. Over the years Simon and Lynne have built up an incredibly strong portfolio of properties, with access to over 1500 (and counting) properties across the region, ensuring that we simply do have something for everyone. In 2015 Simon’s two daughters, Katie and Vicky joined the company to take over the property rentals side of the business, so that Simon and Lynne could focus their time more on the property sales, an area that they have been growing considerably for many years. Katie and Vicky are both every bit as knowledgeable and passionate as our founders were before them, having holidayed on The Algarve for many years and been involved in the business since 2013 in anticipation of taking over. Having loved her job for many years working as an Account Manager for one of the world’s largest healthcare organisations, Vicky’s dream of taking over The Real Algarve from her father Simon and Step Mother Lynne became a reality in 2015. Holidaying in The Algarve for as long as she can remember and being heavily interested in the business for many years, Vicky was delighted to take over the business with her sister Katie when the opportunity finally arose. Vicky has an excellent track record in sales and customer service, and her tenacity has been invaluable to The Real Algarve. She is completely committed to always finding people exactly what they need and searching until she has found it. Katie and Vicky are close sisters, so to have the opportunity to work together was a dream come true and they really do make the perfect team. Both have a natural flair for working with people and are incredibly hard working and passionate about their company – the perfect recipe for success. Vicky’s number one priority in life is her family, husband Joe and twins Max and Amelie. They too love The Algarve and this has meant that Vicky has a really clear handle on what is most important for parents travelling with children. Creating lasting memories is Vicky’s top priority and she is able to achieve this on behalf of our clients time and time again, thanks to her knowledge, commitment and dedication to The Real Algarve. Katie has a wealth of previous experience within customer focused and sales environments. After leaving Manchester University she worked for Simon and Lynne for several years where her love and experience of The Real Algarve business began. She then moved back to Manchester and worked for over 13 years for a leading recruitment firm as a Senior Business Manager. In this role she gained invaluable commercial exposure and business acumen that has provided the perfect platform for the leap back into The Real Algarve rental business. Katie now heads up the business with her sister Vicky and their close working relationship and passion for delivering exceptional holidays has seen The Real Algarve grow from strength to strength. Katie’s strengths lie predominantly around the day to day running of the business, whilst providing the best customer experience for our clients. She always develops an excellent rapport and relationships with clients as a trusted partner. These qualities have proved successful in both the recruitment arena and now with the owners and clients at The Real Algarve. She is immensely passionate about the Algarve and also about making her clients’ holidays the best they can possibly be. Katie’s family, husband Bruce and two children Sophie and Alex are her other every day passion. 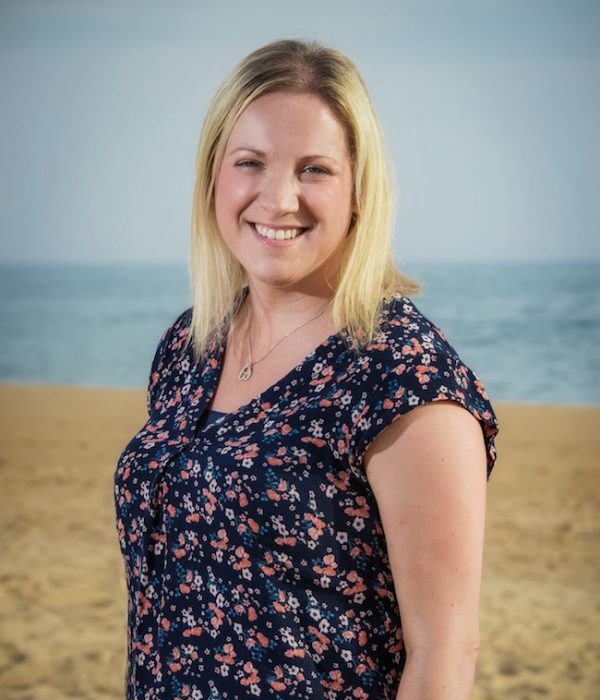 Like Vicky she knows what’s important to parents planning a holiday, but also has fond memories of the girl’s annual holidays and romantic breaks to The Algarve, so is able to help create the perfect getaway for all types of holidaymakers. Simon started his own business as a grain broker at the age of 21 and grew this into an international company. 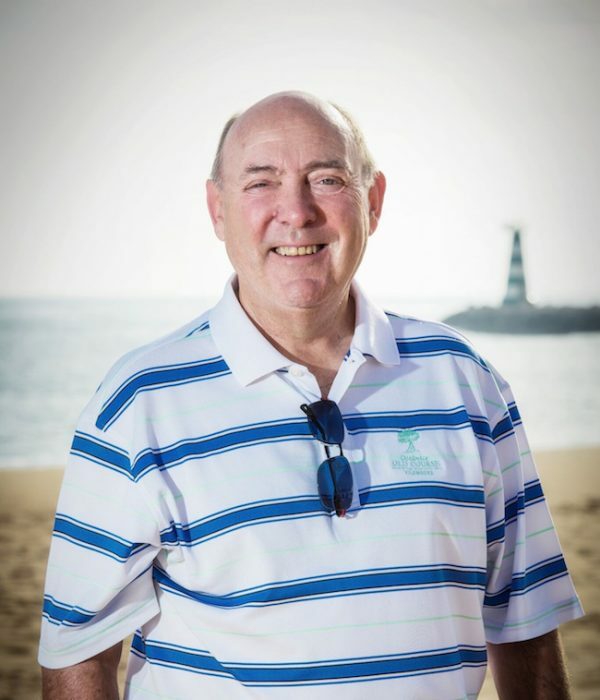 He retired from broking in 2000, but soon became involved in talking to clients who were looking to buy properties in the Algarve. Simon launched The Real Algarve property sales division and he now offers a comprehensive sales and purchase facility. Simon has spent many years holidaying with his daughters in the Algarve and now with his grandchildren, they continue to make happy family memories in a destination they have all grown to love. Lynne came from a strong advertising/sales/administration background working for some of the country’s largest corporations before setting up The Real Algarve 21 years ago. 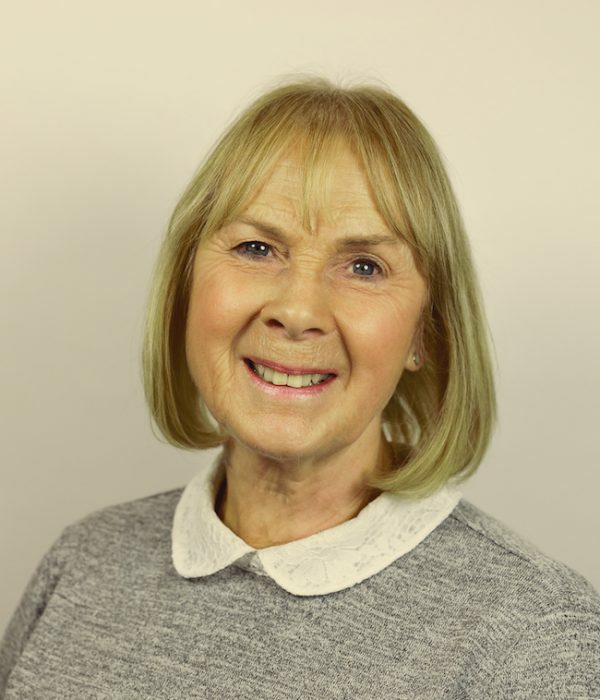 Building up the business has been Lynne’s main goal and her passion for providing unforgettable holidays remains at the core of the business today. 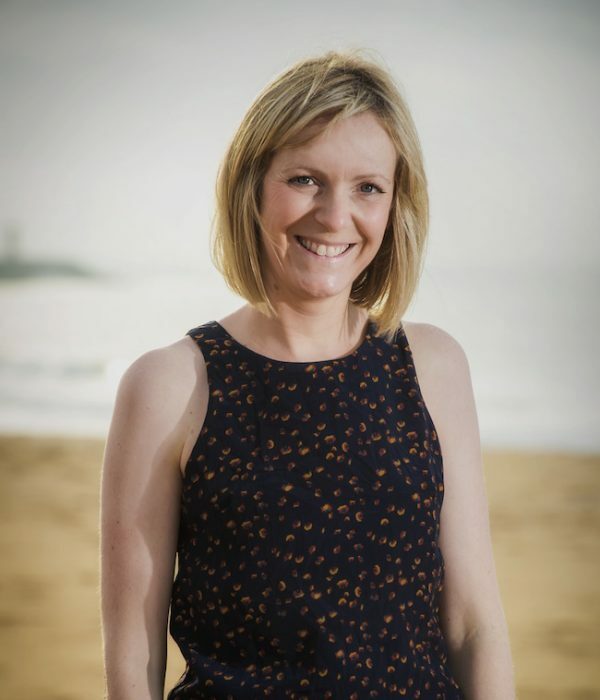 Lynne has watched Katie and Vicky flourish as they head up the villa rentals side of the business and now focuses her skills on property sales in the Algarve. 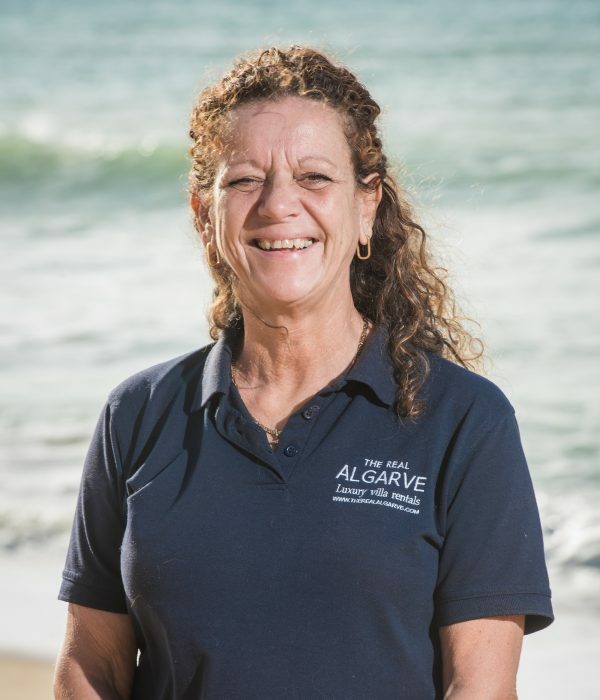 Dawn joined The Real Algarve team as the Reservations Manager in November 2017. 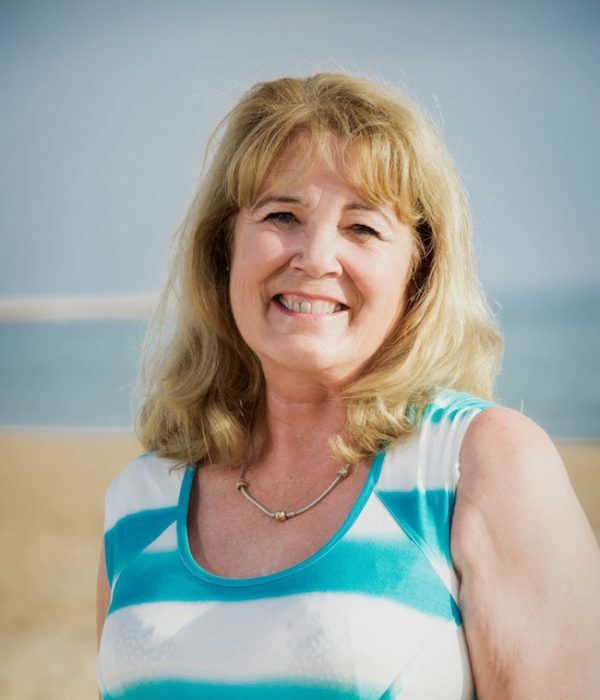 Having lived in Portugal for the last fifteen years, Dawn has a wealth of knowledge and experience of the Algarve and all it has to offer as a holiday destination. 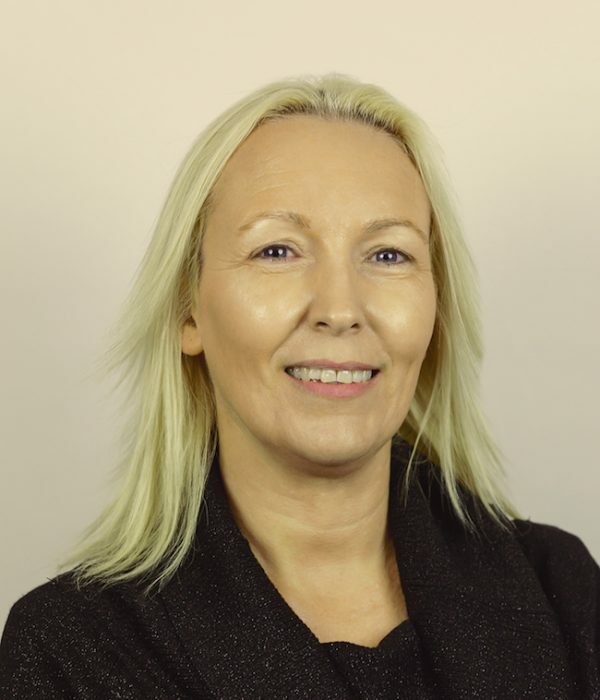 Dawn’s excellent understanding and knowledge of the area is key to the success of her role when speaking with clients and sharing best practice within the team. Dawn is committed to creating a focused client experience, from initial enquiry to returning home, ensuring our clients have a holiday to remember. Dawn has made a huge impression on The Real Algarve team. She has brought new and fresh ideas that have made a considerable impact on the business and the day to day management of taking enquiries, bookings and making reservations. With Dawn in place, Katie and Vicky are now able to focus more on business development and finding new properties, as the demand for luxury villa holidays on the Algarve continues to grow. Dawn relocated back to the UK with her son to spend more time with her family, although she still makes sure she spends as much time as possible on the Algarve! One of her all time favourite spots is the Ria Formosa and the Lake in Quinta do Lago where she spent a lot of time going for bike rides and walking with her son. Fiona joined The Real Algarve team as the Office Administrator in June 2017. She is also Mum to Katie and Vicky and a very important part of The Real Algarve family. Fiona spent her career in Yorkshire as an Additional Needs teacher. On retiring, Fiona moved to Cheshire to spend more time with her daughters and four grandchildren. A real asset to the team, Fiona is very organised and efficient and loves supporting her daughters with their business. She has excellent people skills and enjoys liaising with clients and suppliers, ensuring the smooth running of the office and the team. Fiona has also spent many lovely family holidays on the Algarve with Katie and Vicky as children and now enjoys taking her grandchildren to all her favourite holiday spots. A beautiful black Labrador who makes a great addition to the team. As he’s never been to Portugal, he’s still wondering what all the fuss is about! Having worked in Children’s Services for 22 years for Leicestershire County Council decided to take some time out and ‘landed’ in the Algarve almost 17 years ago. After just 3 months she had fallen in love with the place and decided that this was where she wanted to be. Since living on The Algarve, Dawn has been lucky to have gained a wealth of experience in a real cross section of tourism across the Algarve, from ‘repping’ for several of the large travel companies to property management and managing a team providing an invaluable service for golfers on tour. Dawn’s entire working career has been about providing a service and assisting other people. Dawn’s priority is to ensure that our clients have the best time on their holiday, making sure that everything is in place for their arrival and any issues are dealt with quickly and efficiently so as not to detract from their well-earned break. Andy decided 16 years ago to move to the Algarve and “start again”, after holidaying several times over the years and loving the way of life here. He was fortunate to obtain work as a “rep” and then moved onto villa rentals & management and latterly a VIP chauffer company. Always aware that good service is paramount. Andy has gained a great knowledge of the Algarve and has a particular interest in the history of Portugal. 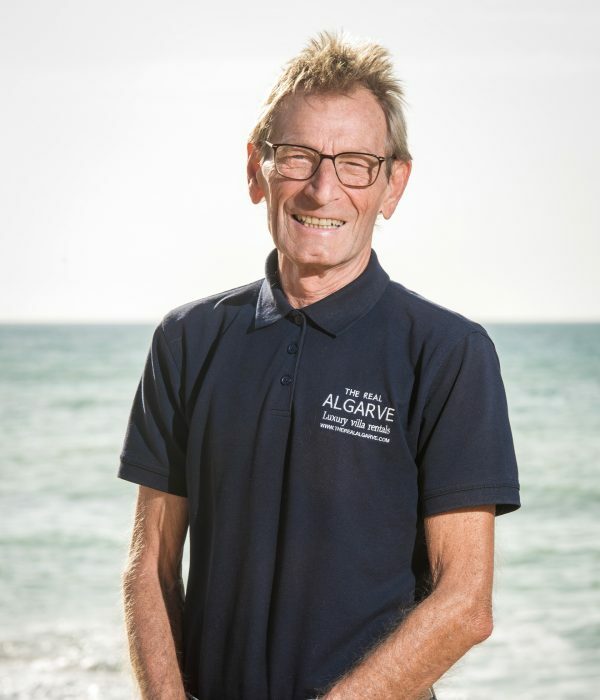 Customer service is the most important thing to Andy and enabling our clients to get their ‘Real Algarve’ holiday experience.